I couldn't wait to post about this DIY. Most of you know that I run a small candle business called Lindbergh Candle Co. so I LOVE me some candles. I wanted to create a playful candle that could be fun for love. And voila, a massage oil candle made with all-natural ingredients and essential oils! Yas! Use this candle to create a beautiful atmosphere and then use the melted oil to give your loved one a massage. Wanna make one? Here's how! * Two 4oz vessels for your candles. Can be glass or tin. STEP ONE: Using a hot glue gun, attach your wicks to the bottom-center of your candle vessel. STEP TWO: In a double boiler add your shea butter, soy wax, cocoa butter and sweet almond oil. Stir slowly until melted. I would use a scale to measure out your needed butters, oils and waxes to get the right amounts. Once melted take off heat and let it cool to about 130F. This is important because you don't want your oils to be destroyed by the heat. STEP THREE: Once melted and cooled add in your essential oils and vitamin E. Add in 30 drops of Ylang Ylang and 15 drops of Rose OR 20 drops of Bergamot. Using a clothes pin, center the wick and let the candle set overnight before using. STEP FOUR: To use your massage candle; light the candle 5-10 minutes before planning to use as a massage oil. You don't want the candle to burn too long otherwise the vessel and oil will get too hot. After 5-10 minutes, blow out the candle, pour wax into your hands and use it to massage your loved one. It's SO nice and warm!! Enjoy and have FUN with your beau this Valentine's Day! NOURISHING ESSENTIAL OIL BATH MELTS! I was never really a DIY gal until essential oils happened in my life and now I want to make ALL the things! I just taught such a blush-worthy class last night on Romance & Intimacy with Essential Oils (you can catch the replay on my Facebook page!) and it was filled to the brim with special DIYs I put together. One of which were these nourishing bath melts, LET ME TELL YOU ABOUT THEM! Because of the cocoa and shea butter, these little beauties melt slowly in a hot bath. They smell like citrus and chocolate (because of the cocoa butter) and they make your skin feel like a babies bootaay. I made these with the idea of having a romantic bath in mind for Valentine's Day. I mean, imagine a glass of wine (or sparkling grape juice! ), candles flickering, maybe your significant other has gone above and beyond and brought home some chocolate covered strawberries?! And you, my friend, get to just lay back and soak in a hot bath that smells like dreams and chocolate wishes. You're welcome! STEP 1 In a double boiler melt together the cocoa butter, shea butter and coconut oil. STEP 2 Once melted, take mixture off the heat and add in your essential oils. Stir together. STEP 3 Pour into your silicon mold and let it set in the fridge. Store in cool place, I like to just keep mine in the fridge! When ready to use, draw a bath and drop in one of your melts. Enjoy! I hope you love these as much as I do, I think they would make a pretty great "Galentine's" gift too! ;) AND girl, if you need to get some magickal essential oils into your life, click that Babe Brigade link in my nav! 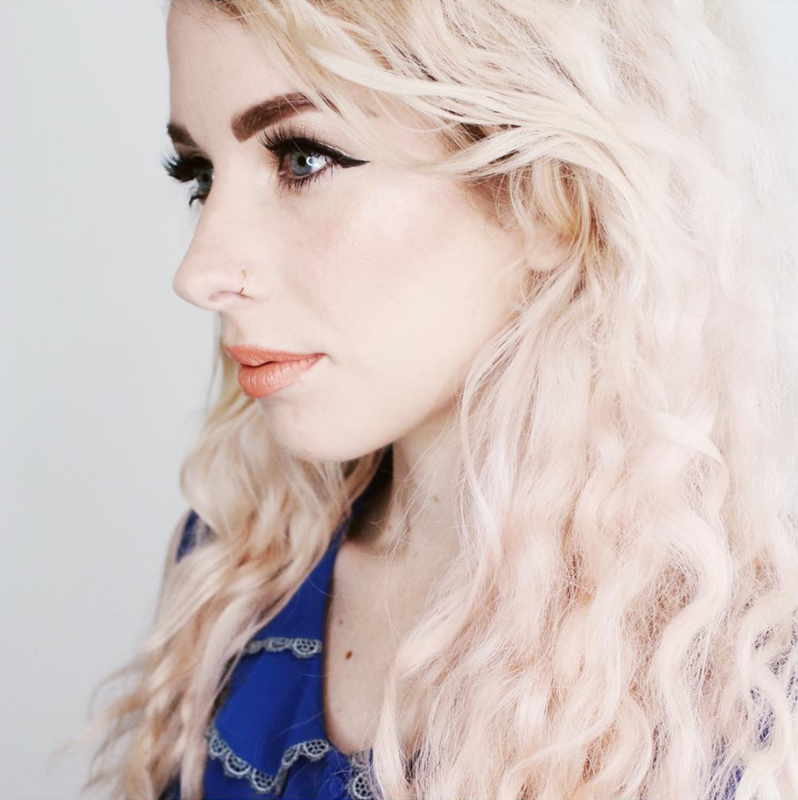 This has been on my DIY list for a few months now and I'm SO excited I finally created the balm of my dreams! This time of the year all of us suffer from dry and random skin issues. I wanted to create a balm that was gentle enough for my kiddos and of course all-purpose to address all of the needs we have. 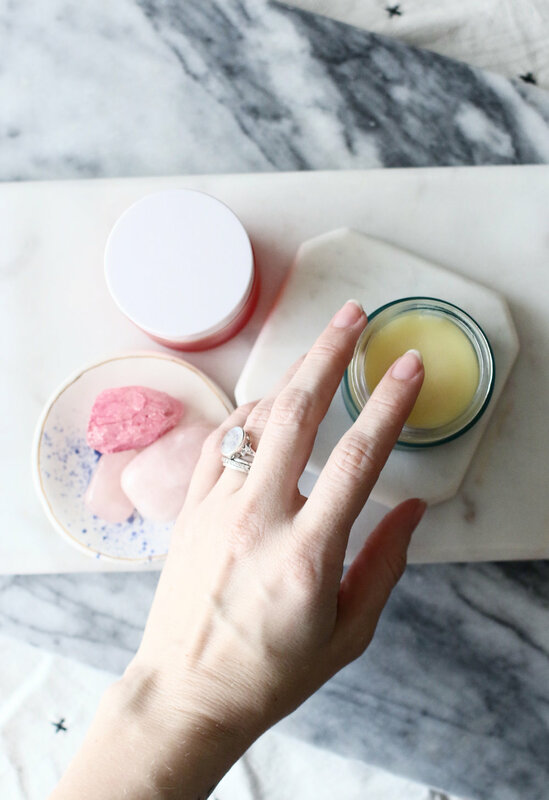 I curated some of my favorite ingredients and oils to create a balm that was perfect for chapped lips, dry noses, cuticles, feet, scrapes, rashes and dry patches. It feels velvety soft and smells so yummy too!! * I use and recommend pure, therapeutic grade essential oils for this DIY. I love and use doTERRA! You can pick these up in my Magickal Babe Brigade shop! STEP ONE: Boil water on the stove top and in an oven safe glass container (I like to use a glass pyrex measuring cup) add in 2 tablespoons of beeswax. Double-boil the wax over the stove top. Stir slowly and allow wax to melt all the way. Make sure you don't get any water in the wax. STEP TWO: Once the wax has melted thoroughly, add in 2 tablespoons of coconut oil. Stir slowly until melted. Next combine 1 tablespoon of lanolin OR shea butter. Lanolin has a little bit of a stronger scent but both are SO good for the skin. Stir until combined. STEP THREE: Take the glass pyrex pitcher out of the double boiler and place on the counter. In a 1/4 cup add in equal parts sweet almond oil and jojoba oil, top off the 1/4 cup with Vitamin E oil. You are also welcome to use just almond oil or just jojoba oil just make sure the oils you use equal 1/4 cup. 40 Drops Rose - doTERRA has a Rose rollerball, I pop off the rollerball piece and use a pipet to add the drops to my recipes. STEP FIVE: Stir all of your ingredients together and before your recipes cools, pour into your 2oz jars. This recipe will fill two 2oz jars. One to keep by your bed and one for your bag! Beeswax - Beeswax inhibits the growth of bacteria which can help treat skin conditions. It helps protect and repair rough, dry or chapped skin since it locks in moisture. It's anti-inflammatory, antiseptic (which is great for acne) and helps with pain. Coconut Oil - We all know there are hundreds of uses for coconut oil! The MCT in coconut oil helps with conditioning the skin. It's loaded with antioxidants too so it makes your skin extra happy! Lanolin - Ultra-hydrating and helps nourish dry skin! Sweet Almond Oil - Almond oil also helps reduce inflammation, moisturize skin and improve complexion. Psst, it's also really good for dark circles! Jojoba Oil - Moisturizes, removes sticky buildup and excess oil. Keeps oil levels balanced in the skin. Prevents irritations, can help remove makeup. Doesn't clog pores, protects and cleanses skin! Rose - Has anti-aging properties, helps stimulate collagen production. Helps with scarring. Boosts the immune system and it basically skin magic! Frankincense - Promotes healthy cellular function, can help reduce inflammation and is liquid gold for skin health! Peppermint - This one is great for muscles, joints and I love the slight cooling effect it adds to the balm. Ylang Ylang - Can help improve skin's natural sebum productions by balancing pH levels. It's anti fungal, antiseptic and smells amazing. Lavender - Lavender is one of my favorites for skin health. It's amazing for dry skin, rashes, cuts, scrapes, burns, acne. ALL the skin things! Helichrysum - This oil is pretty incredible. It helps repair the skin and skin tissue. It's such an incredible oil to add to ANY skin related blend. Friends, this balm is SO good!! I can't wait for you to try it out and use it in your beauty routine and for your kiddos!! Check out my Babe Brigade page for info on how to get 25% off your essential oils too! Love, Sav.